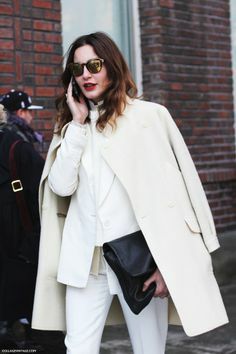 This entry was posted in Fashion and Style and tagged all-white, blogger, fashion, Jessica Alba, Olivia Palmero, street style, style, trend, white, winter by shellwetoast. Bookmark the permalink. 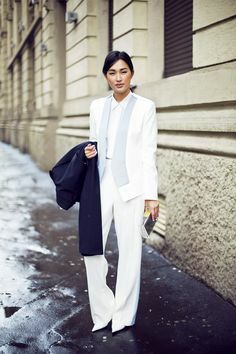 I love winter whites! Although I think some technically qualify as a light taupe? 🙂 The second look (Olivia Palermo I think?) is my favorite, I love how those pants hang and just brush the ground. Technically speaking, yes, some of the examples are considered taupe; however, pairing stark white with a warmer shade of white is a great way to make the trend a little more relatable to the average person. Olivia Palmero is absolutely stunning! She always looks amazing. I have to agree that of all the outfits, I like hers the most. The fit and tailoring of those pants are impeccable!! 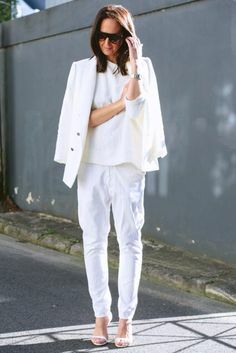 I am a little(lot)skeptical of wearing so much white cause of my size but would love to give it a go. It’s all about the proportions! 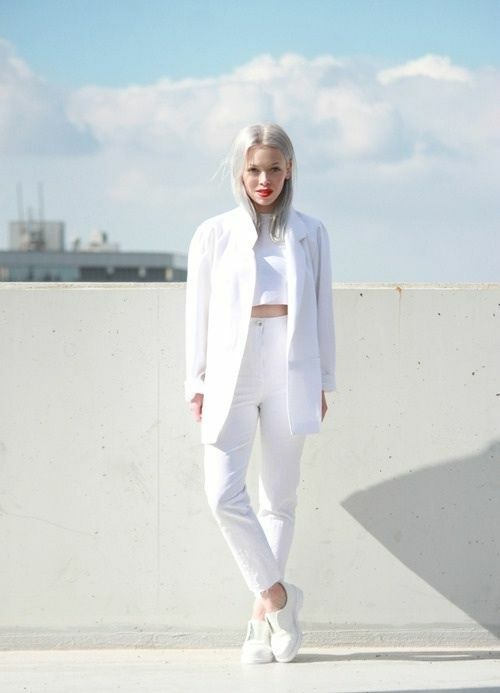 If you find tailored pieces that hit you in the right way then you can definitely pull off so much white. If you don’t have a good tailor who understands how fit can highlight your figure, I highly reccomend finding one!